The client was concerned about possible paranormal activity due to strange occurrences at night and sleep disturbances. Based on the experiences the client described we felt this was more likely to be sleep paralysis rather than anything paranormal. The initial walk through showed there were no anomalous EMFs in the house, dowsing showed where the Hartman grid lines were and indicated a cross point directly over one side of the bed. We suggested that the client move the bed approximately 60cms to the left to avoid sleeping in this area. The client happily moved the bed as soon as we finished the investigation. An energetic healing was performed on the client, after which they felt much better. 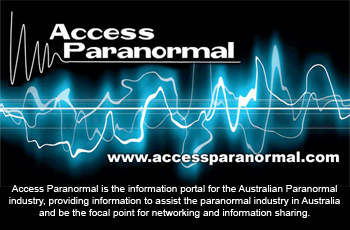 The client was also reassured that we were confident that nothing paranormal was causing the problems. We explained what sleep paralysis was and after some talking the client came to the realisation that they were under a lot more stress from many areas in their life than they realised, which could account for the sleep disturbances. The only anomaly we experienced was a “warping” feeling when we entered the garage area of the house; even though we were on solid ground it felt like the floor was moving, as if standing on a rocking boat. We attributed this to geopathic stress, due to the high level of groundwater flowing under the whole area. We smudged the home with sage, lavender and salt water plus used a large bell for a sound clearing. The client was now much happier and relaxed and thanked us for coming. We all agreed that in this case the alleged paranormal activity was due to a combination of sleep paralysis caused by stress in the client’s life, and geopathic stress resulting from the high water table in the area, and was not due to any spirit/ghost activity.